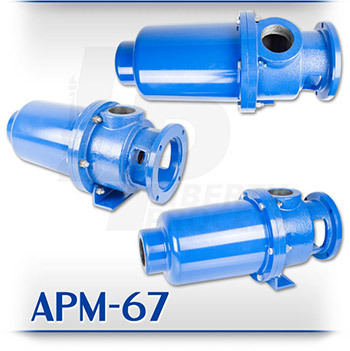 The American APM-67 Series Close Coupled Progressive Cavity Wobble Stator Pump from Liberty Process Equipment offers the best value available on the pump market for a progressive cavity pump for flows up to 53 GPM and pressures up to 50 psi. The American Pump Series is offered with our unique Close-Coupled design mounted to a 145TC Free C-Face motor. All pumps are offered “off the shelf” from our inventory for immediate shipment.